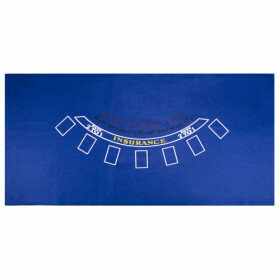 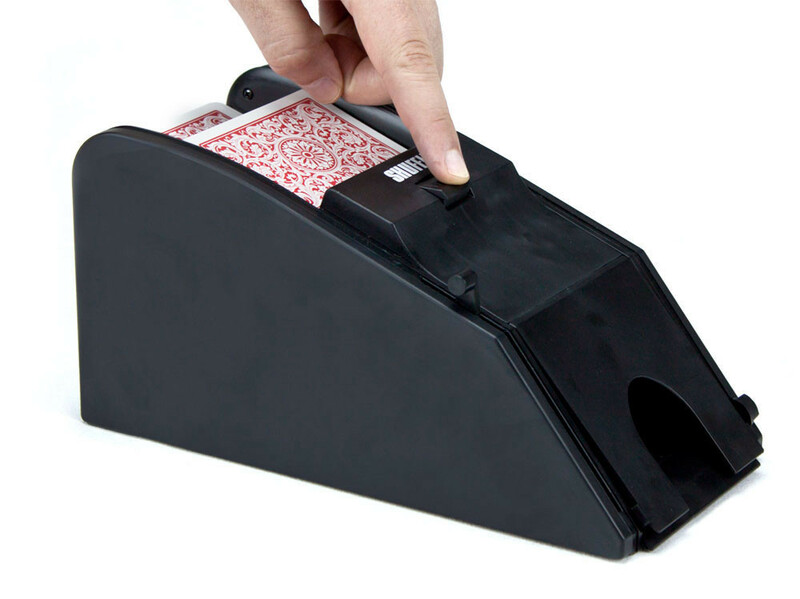 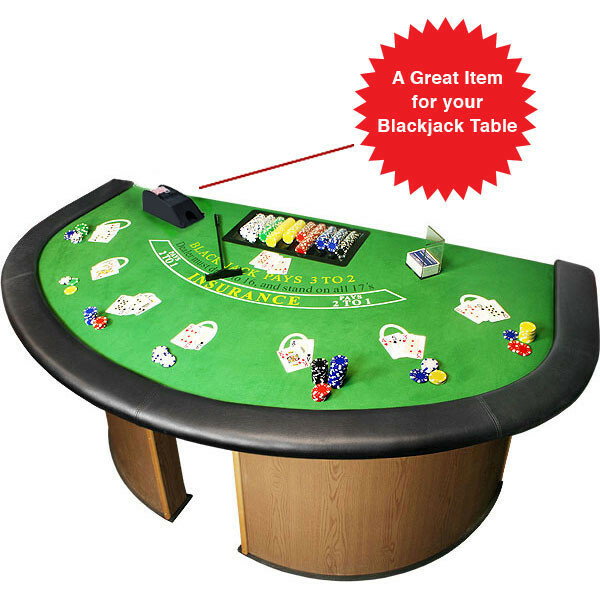 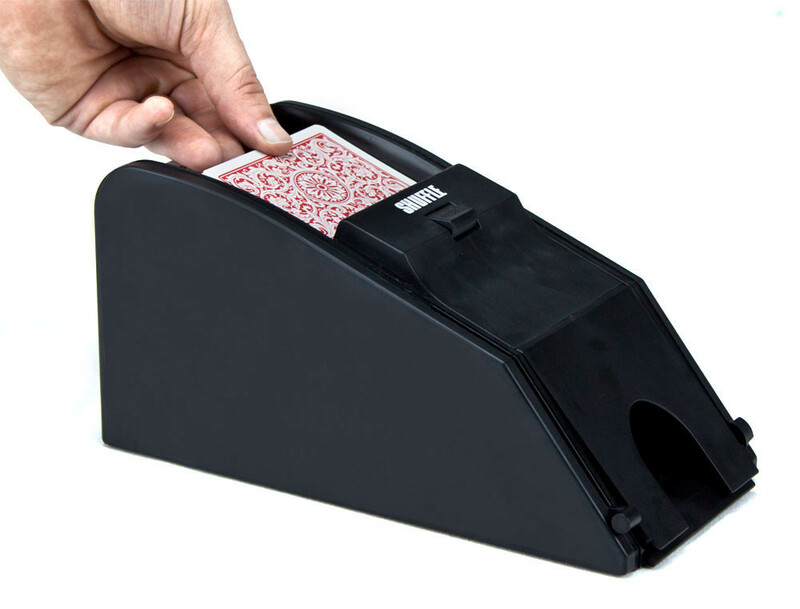 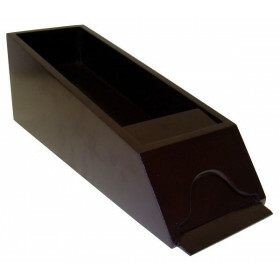 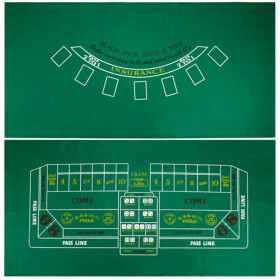 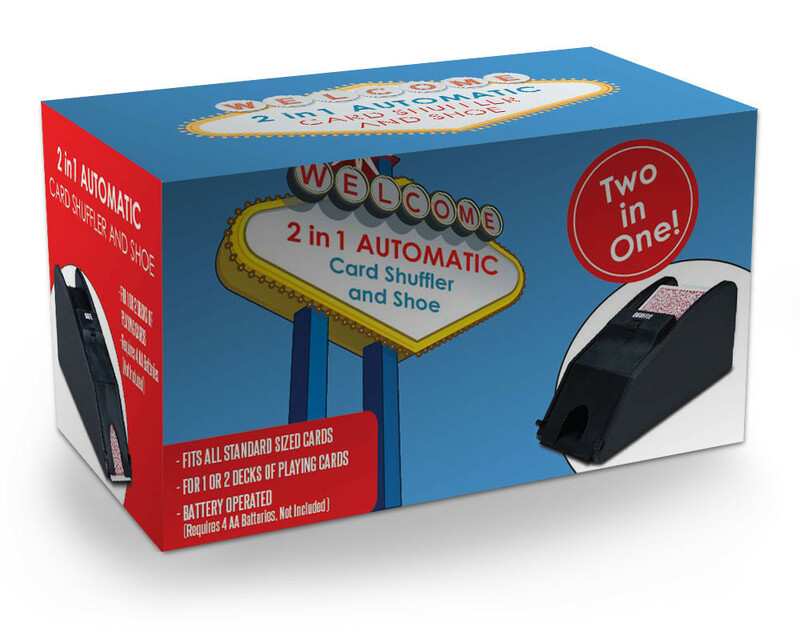 This 2 in 1 shuffler and dealing shoe automatically shuffles poker size cards into a built-in dealing shoe at the touch of a button. 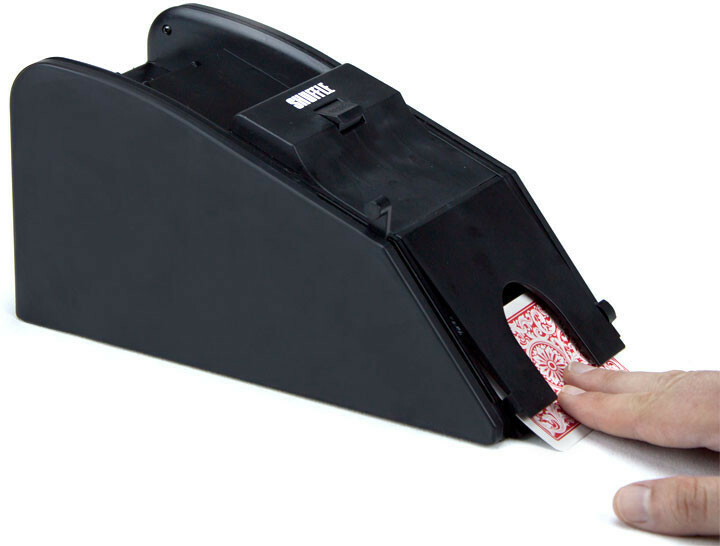 It is battery operated and runs on 4 AA batteries (not included). 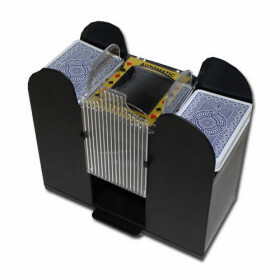 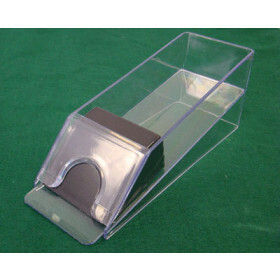 It can hold 2 poker size card decks and comes in a retail box. 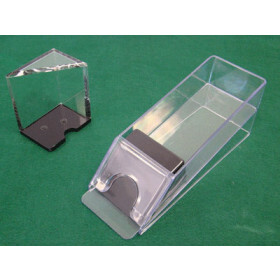 Dimensions are 9.5 x 4.625 x 4.75.